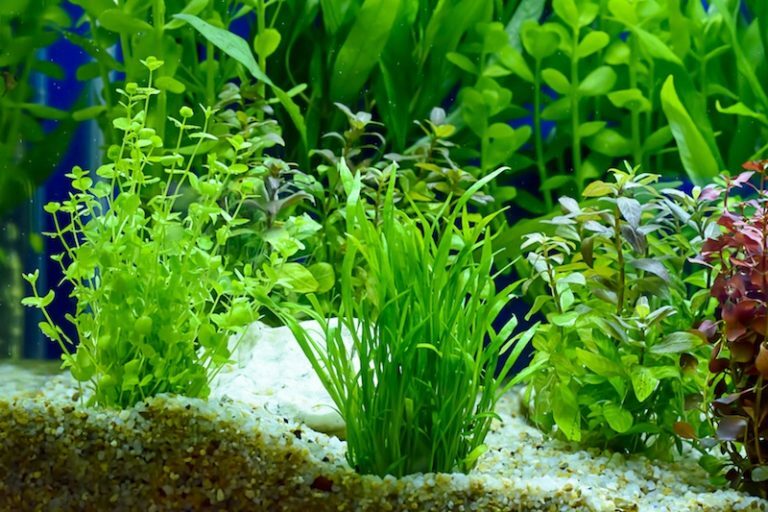 Choosing live plants for your aquarium might seem as simple as heading to your local fish store and picking out a few bundles. 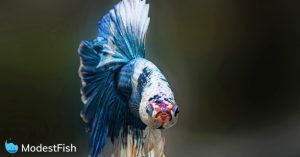 But, if you want your plants to thrive, you have to put as much thought into choosing them as you did for your fish and your other tank decorations. 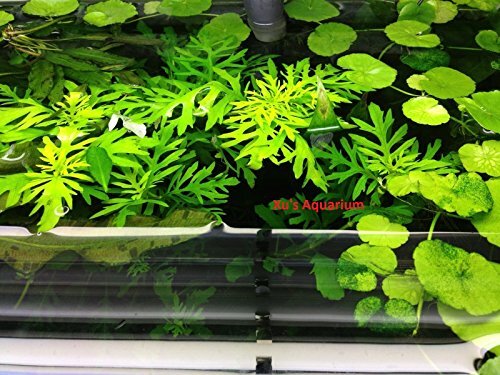 There are many different live aquarium plants to choose from and they each have their own unique requirements for care. 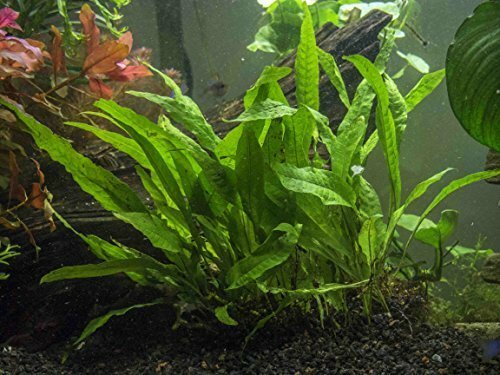 So before you stock your tank with aquarium plants, you should take a minute to think about why you want them, which types would best suit your tank, and how you’ll care for them. Let’s discuss how you can do this. Your first step in choosing live plants for your aquarium is to spend a moment thinking about why you want aquarium plants in the first place. Live plants can provide a variety of helpful benefits, but you still need to consider how you want to use them and why. Convert carbon dioxide into breathable oxygen for your fish. Live plants use nitrates and other chemical waste products, helping remove them from the water column so they don’t harm your fish. Saturates your tank water with oxygen which helps aerate the tank. You achieve a natural look. Provide shelter and security for fish and break up sightlines which can be beneficial for territorial fish. Can be used to conceal aquarium fixtures to improve aesthetics. In addition to these benefits, aquarium plants help improve and maintain the quality of your tank water. High water quality is essential for the health and wellness of your fish. 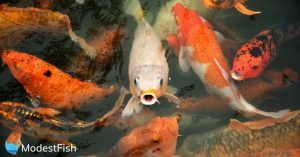 When water quality is low, your fish become stressed and that makes them more susceptible to illness. Pro Tip: Frequent water changes are essential for maintaining high water quality in your aquarium. Change 10% to 15% of your tank’s volume once a week or every two weeks. And keep an eye on your filter to make sure it’s not clogged. 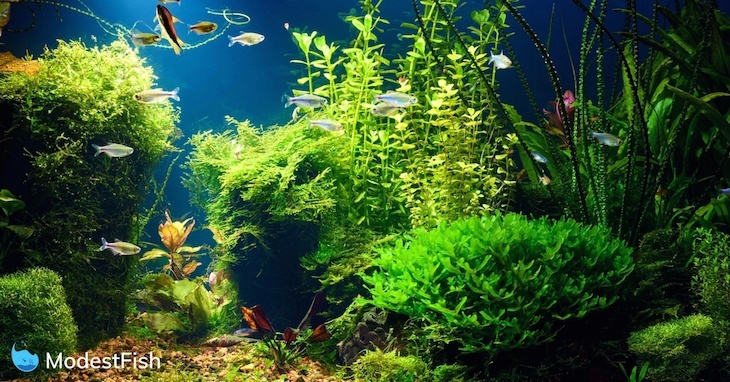 When thinking about why you want aquarium plants in your tank, the reasons listed above are important to consider. The benefits of live plants are obvious, however, so you’ll want to spend a little more time thinking about the details – how you want your tank to look when you add the plants. Live plants come in a wide variety of shapes, sizes, and colors. 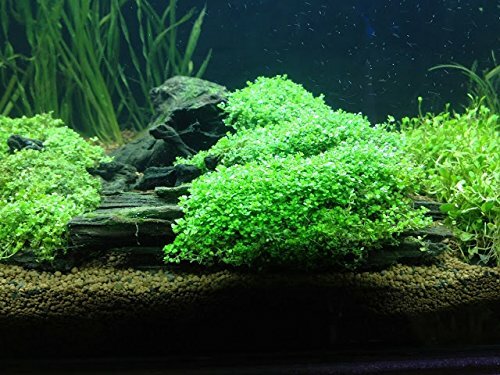 Depending on the size and shape you choose, you can use aquarium plants to create a lush carpet along the bottom of your tank or a living backdrop to your aquarium. 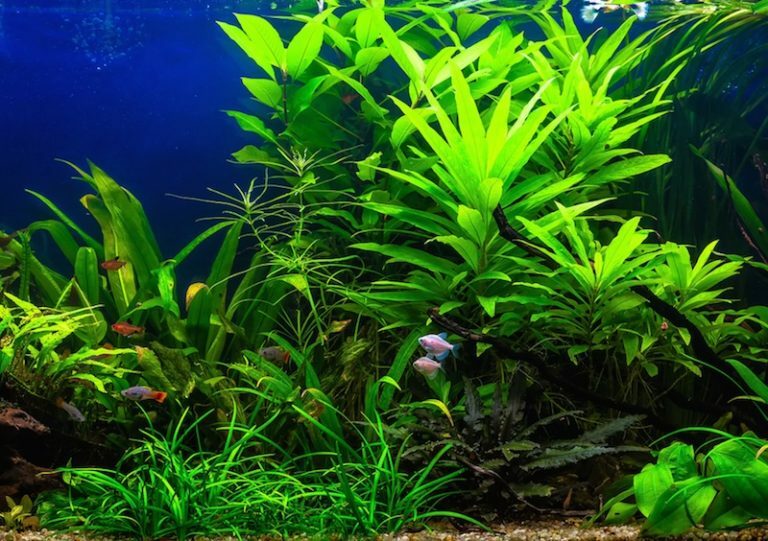 Now that you have a better understanding of the role aquarium plants play in your tank environment, you’re ready to start thinking about which plants you want to use. Foreground plants are the plants you place at the front of the tank – they are generally shorter and grow fairly slowly. 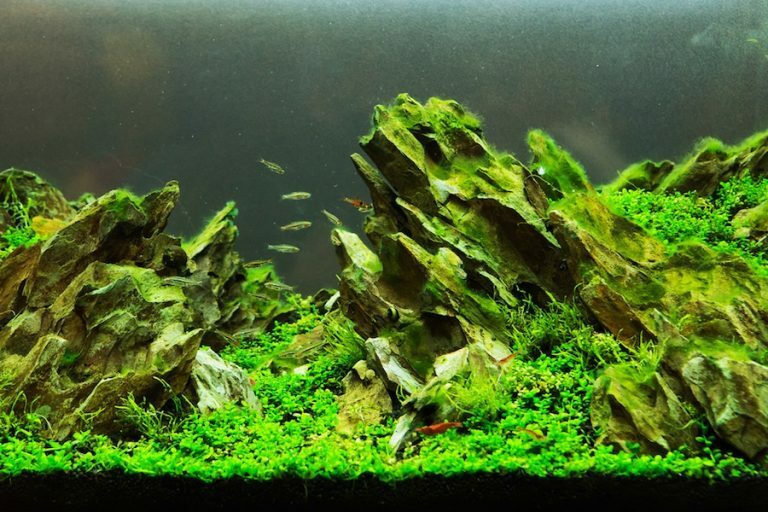 Some foreground plants are called carpet plants because they tend to spread outward rather than upward, covering the bottom of the tank with a green carpet-like layer. Mid-ground plants are taller than foreground plants and can be used along the sides of your tank and in the middle. They can add to the aesthetics of your tank without taking away too much valuable swimming space. Background plants are the larger plants you use in the back of your aquarium – they can create a natural backdrop for your tank as well as a place for your fish to hide. Something else you should think about when considering what kind of aquarium plants to get is the substrate in your tank. Again, live plants require certain nutrients in order to thrive. And while they’ll absorb some nutrients from the water column, most of their nutrition will be absorbed through the roots – this is where your substrate comes into play. Substrate is simply the material that lines the bottom of your tank and it is where you will root your plants. Sand and gravel substrates are fine for fish-only tanks but a planted tank will require a complete substrate that provides nutrients. If your tank is already set up, you’ll need to take your substrate into account when choosing which live plants you want to add and how many of them. Pro Tip: Though light is the primary source of energy for live aquarium plants, they also require certain nutrients: nitrogen, phosphorus, potassium, and micronutrients like iron, manganese, and boron. If you’re using a complete substrate like CaribSea Eco-Complete or ADA aqua soil, you have plenty of options – these substrates are designed specifically for planted tanks. If you have sand or gravel substrate, you may still be able to add live plants, but you’ll need to fertilize them occasionally to make sure they get the nutrients they need. Another type of substrate you may be using is Seachem Flourite. This substrate is high in iron but lacking in other nutrients – it is also very dense and porous and not an ideal choice for plants with delicate roots. If you have soil substrate, most plants are likely to do well but you should keep in mind that it may cloud the water in your tank if you disturb it to root your plants. Pro Tip: Some plants are column feeders, meaning they’ll get most of their nutrients from your tank water. If this is the case, you’ll have no problem keeping plants with a substrate that provides no nutritional value. Light’s a key source of energy for your aquarium plants – it allows them to complete the process of photosynthesis through which they convert carbon dioxide into energy. There are many different options for aquarium lighting but not all of them are ideal for live plants. Your plants will need about 8 hours of full-spectrum light per day – full-spectrum light mimics natural sunlight and it is the best for photosynthesis. Be careful about using natural light, however, (such as placing your tank next to a window) because too much light could contribute to algae growth. The best type of lighting for a planted tank is LED aquarium lighting. LED lighting is highly efficient in terms of energy consumption and the bulbs last a long time. These fixtures also do not produce heat like some fixtures (such as VHO or metal halide) so you don’t have to worry about overheating your tank. They’re also much cheaper to run. 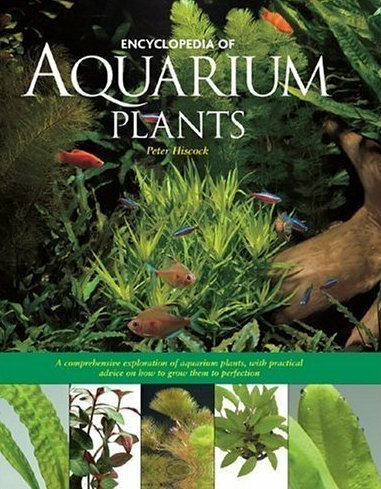 Now you have a deeper understanding on aquarium plants, you can use the following information to make an informed buying decision. To make things easier for you, I’ve split this into two section for you: foreground and mid/background plants. 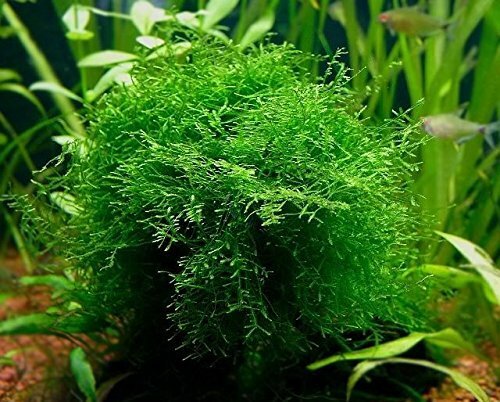 Remember, foreground or carpet plants are the ones that grow slowly and have a limited height – they tend to spread outward rather than upward and they can create a lush carpet of green along the bottom of your tank. 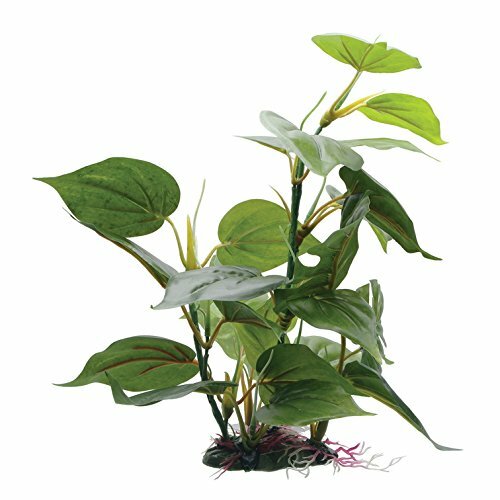 This plant grows best in clean, well-circulated water and it will grow faster in bright lighting. It is an excellent carpet plant because it spreads quickly and is easy to trim. 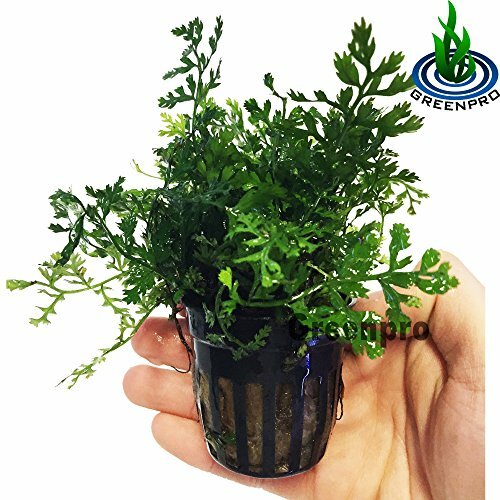 Also known as Brazilian Micro Swords, Lilaeopsis is a short-stemmed plant that does well as a carpet plant. It can grow fully or partially submerged and it forms a dense carpet with the right combination of lighting, CO2, and other nutrients. This plant produces clusters of tiny leaves and it is ideal for breeding tanks. And forms a dense carpet with proper lighting, and it is generally easy to care for once established. Remember, middle ground plants are low to moderately high and they should be used as the focal point for your tank. Background plants are taller and can be used along the back and sides of the tank to provide shelter for your fish. This plant produces lace-like leaves that vary in size according to the water temperature. They can be easily propagated by taking cuttings from the lower leaves. 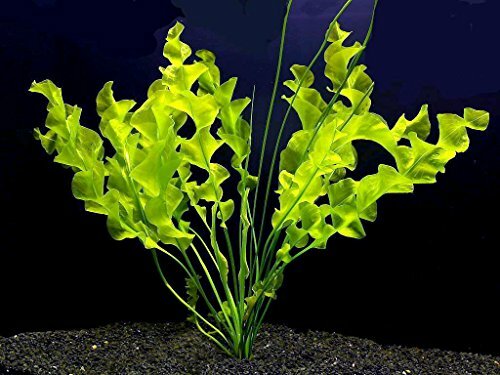 One of the most recognizable aquarium plants, Amazon sword is an ideal background plant that produces large, broad leaves. It is easy to care for and prefers loose substrate. This plant grows fairly slowly, even in ideal conditions, and it is best anchored to a piece of driftwood instead of rooted in substrate. Once established, it is easy to maintain. 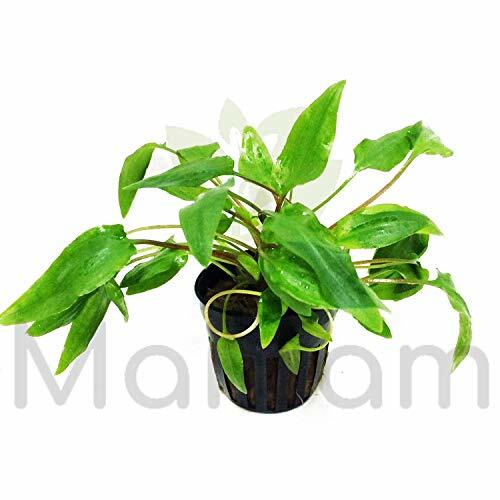 This plant is extremely easy to grow and it comes in different sizes and leaf shapes. 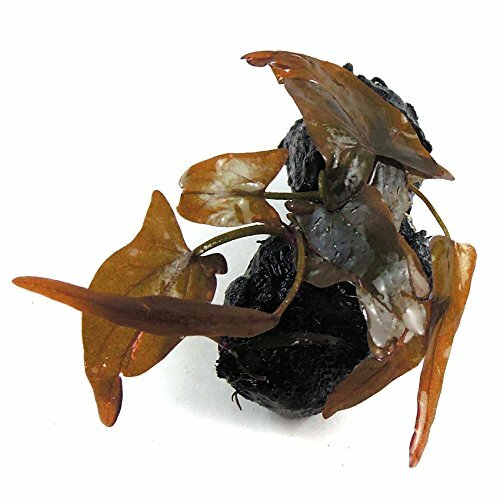 Java fern does well in moderate lighting – if the lighting is too strong, the leaves may turn brown. One of the easiest plants for beginners, anubias is hardy and easy to grow. This plant is commonly anchored to rocks or driftwood instead of being rooted. When rooted, the rhizome should be left above the substrate to prevent rot. Also known was water trumpet, this plant is a great mid-ground plant. 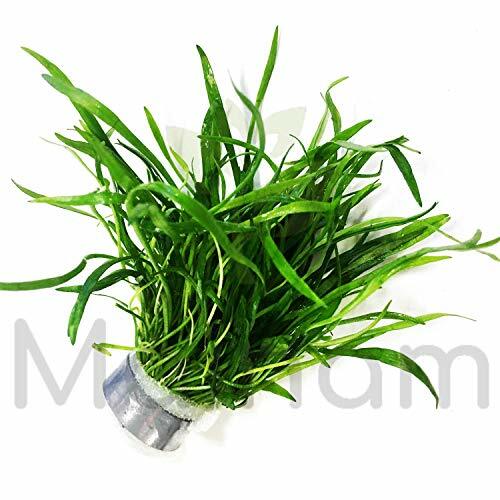 It is very tolerant with water parameters and does well in low to medium light. A beautiful plant that produces rippled leaves, this species is very tolerant and spreads well as a background plant. A single bulb produces up to 40 leaves. 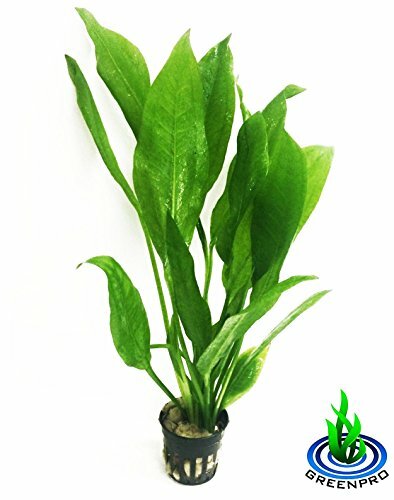 An attractive plant that produces uniquely shaped leaves, the dwarf aquarium lily is easy to care for. The bulb must be planted halfway out of the substrate or it will die. When it comes to decorating your aquarium, you are free to use your own creativity. If you want to cultivate a lush and thriving tank with a natural appearance, however, you should include some live plants. The live plants described in this article are perfect for a beginner, so take what you’ve learned and put it to use! You have site provdes an awesome amount of information in an easy to comprehend manner. Thanks for helping me sort through the white noise. Very useful information and easy guide for beginners. Thanks a lot. Great job.